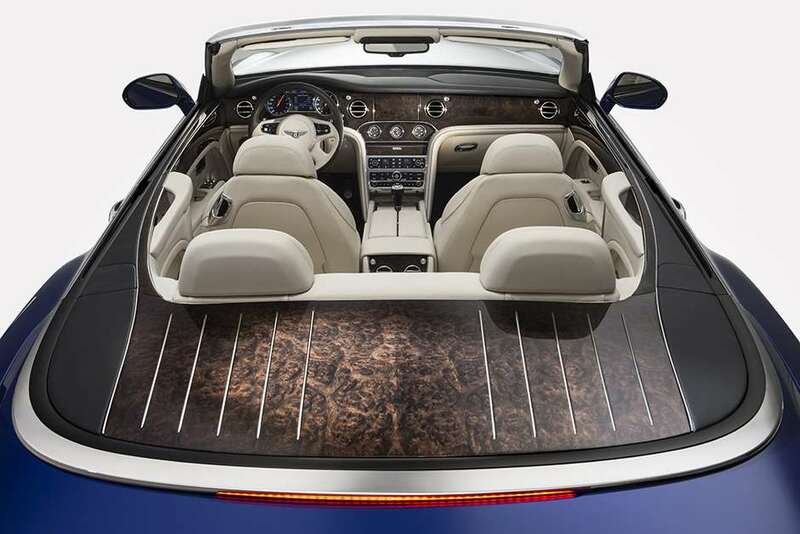 If imitation is the sincerest form of flattery, our friends at Rolls-Royce will be thrilled to see (our other friends) Bentley have pinched the Phantom Drophead’s wooden-decked tonneau for their own opulent Grand Convertible concept. 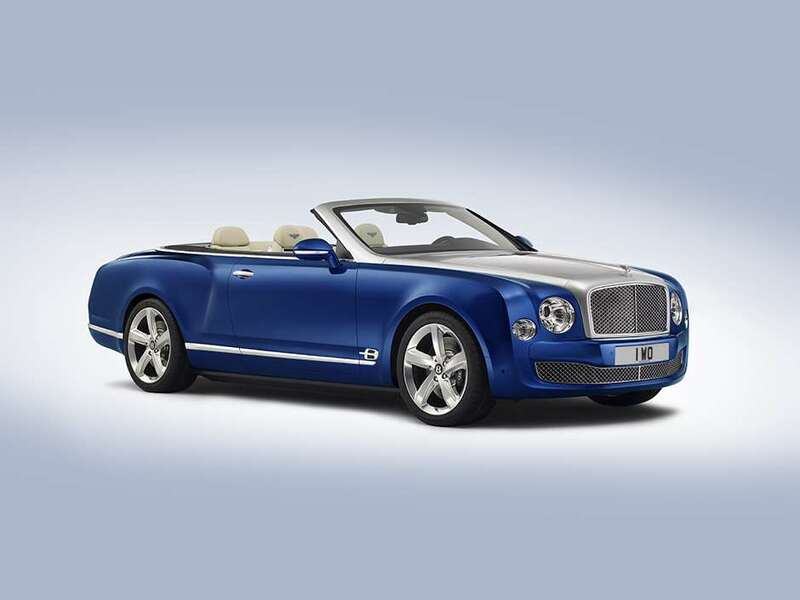 In a further attempt to confuse aficionados of luxury open-topped motoring, Bentley has given its new concept a two-tone paint job featuring a silver bonnet that rather mimics the metal finish of the Phantom. The rest of the car is finished in a coat of blue paint uncannily similar to the hue recently featured on the Rolls-Royce Waterspeed. Did anyone hear the swish and slap of a gauntlet being thrown? The new Bentley is based on the Mulsanne saloon, and features its 6.75-litre, 530bhp V8, so you may not consider it quite as opulent a choice as a V12-powered Phantom. Still, it isn’t even an official option yet, as R-R’s Northern rival claims to be waiting for customer feedback on the Grand Convertible before hitting the button to start production. For now, it is being confined to Bentley’s show stand at the LA Motor Show which opens this week. “This concept demonstrates Bentley’s ability to create a pinnacle convertible Grand Tourer, while embodying elegance beyond compare. With this car we combine the opulent Mulsanne experience with the full sensory indulgence of open-air touring, continuing to unite luxury and performance in new ways,” says Bentley CEO Wolfgang Dürheimer. 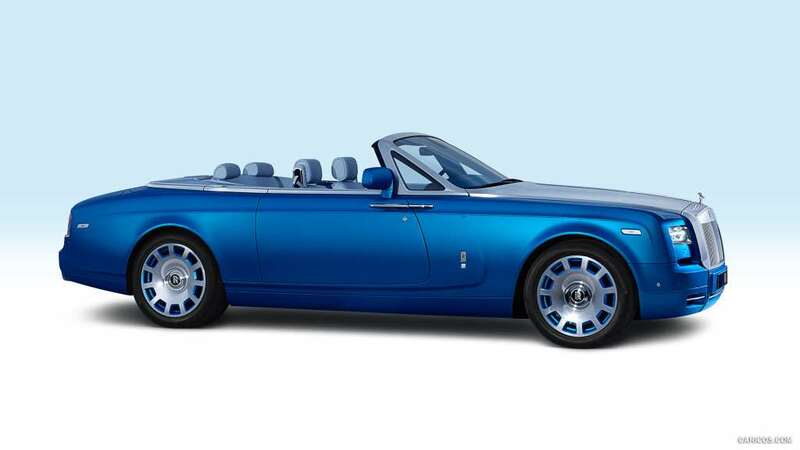 Meanwhile, here’s a picture of a Rolls-Royce Phantom Drophead Waterspeed… it’s not just us, is it? !